Condition: 8.9/10. Item in near mint condition. Comes in original box. Utilizing the same world-class design as the Platinum, Silver and Gold Eclipse cables, Eclipse 7 is the cable for those who refuse to compromise when it comes to preserving the natural timbre of instruments and voices. 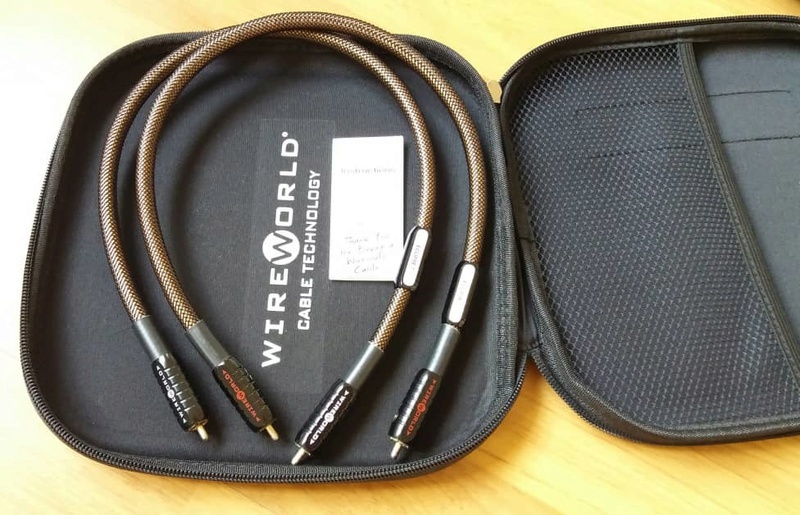 The Eclipse 7 features WireWorld’s unique Quad DNA Helix™ cable design and utilizes Silver Tube™ plugs for optimum connectivity. All of the Series 7 cables feature Composilex 2 insulation technology, which minimizes the triboelectric noise produced by conventional insulation materials. Many understand that insulation materials influence the performance of a cable. Wireworld created unique polymer composites designed specifically to optimize fidelity. The benefits of Composilex 2 are especially noticeable on Series 7 Audio cables where the reduced interference preserves the purity of the original sound thereby greatly improves performance. These new materials push the boundaries of there expectations for fidelity by letting us hear, see and feel more than ever before. With the unique invention of the Quad DNA Helix design, Wireworld has created a more efficient channel for electromagnetic energy, thereby preserving more of the delicate information that creates higher fidelity. Series 7 utilizes refined versions of the Quad DNA Helix design to provide the most lifelike fidelity ever.